Sign up to track nationally aired TV ad campaigns for Beauty Cups. Competition for Beauty Cups includes Fruit of the Loom, Soma, Genie, True&Co, MeUndies and the other brands in the Apparel, Footwear & Accessories: Underwear industry. 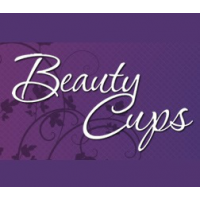 You can connect with Beauty Cupsby phone at 1-800-676-6204. We have seen no national TV commercial airings from Beauty Cups.